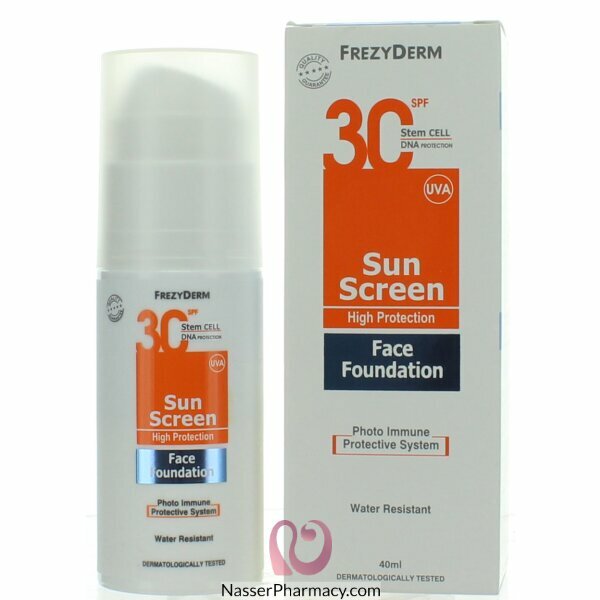 Water resistant sunscreen with facial foundation. 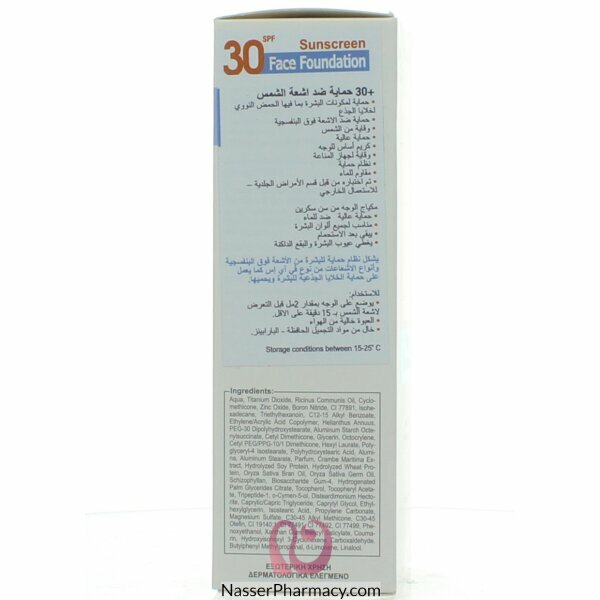 The sunscreen is suitable for all skin types and for all ages. It continues to work after swimming and provides prolonged, continuous sun protection.